dosei and cheapshades2012 like this. 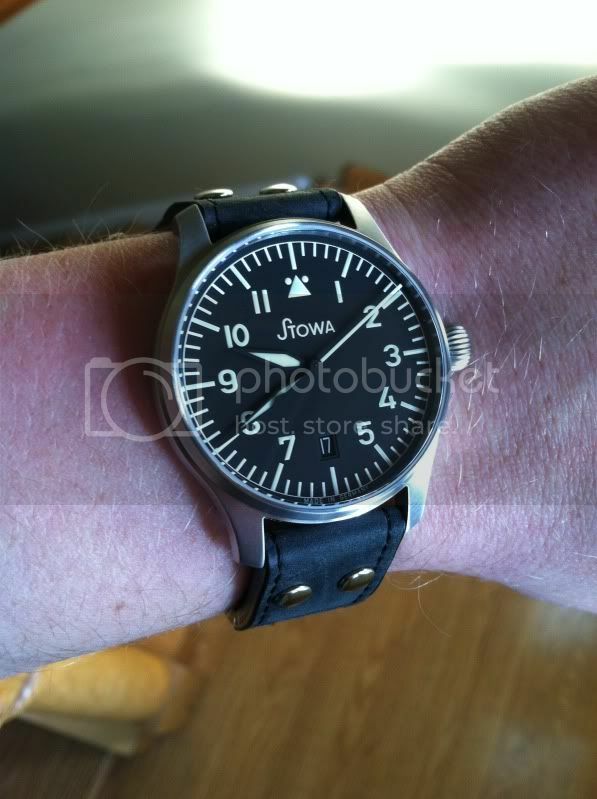 Love the blue hands of Stowa Flieger. Some people say it dosen't matter whether hands are black or blue as only under some angles they can be seen as blue. For me it's all about this short moments when ie. I drive home and suddenly because of the Sun and the way I keep my hand on the wheel I can see them shiny blue - that's exactly what I like about it! dosei and harrym71 like this. I need to take some more photos and stop reusing this one! Renisin, godplaysdice, anaplian and 1 others like this. Fits nicely on my puny wrists! dosei, Plälzer, Quartersawn and 1 others like this. 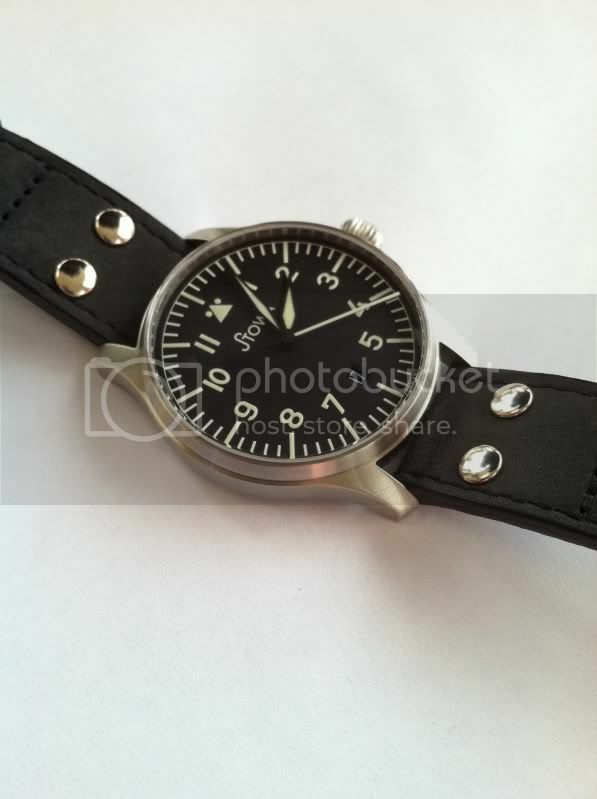 Flieger Friday; on old style black. 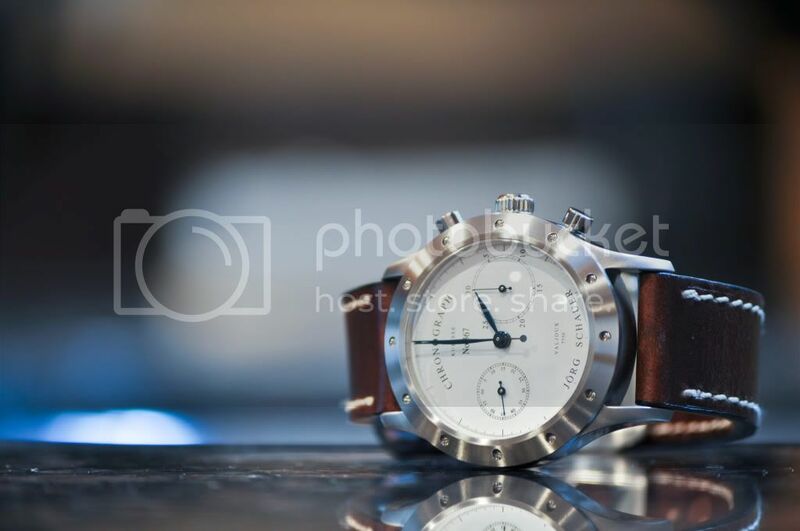 Renisin, dosei, Ken Copen and 1 others like this. Wow! That is so nice; you are holding out on us. 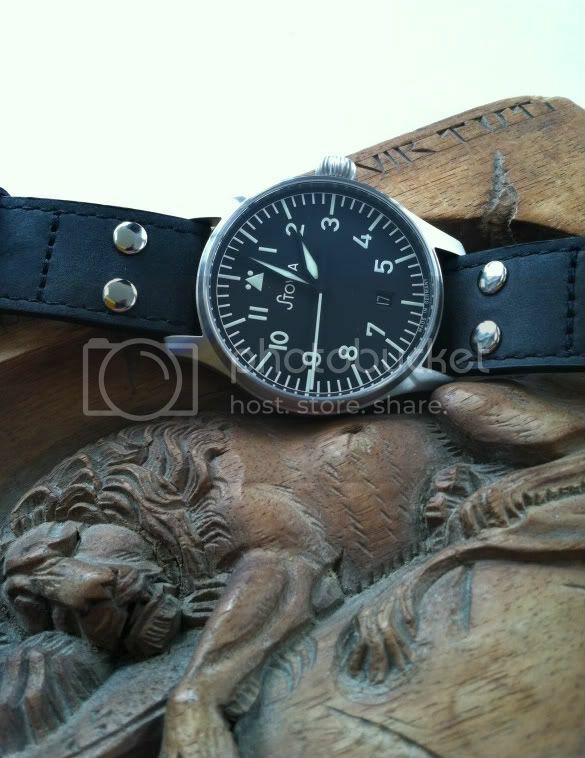 Here's my MO (matte) on the Habitue strap from Crown and Buckle. Last edited by rchez16; April 13th, 2012 at 20:57.
brainless, Shivy, a tired smile and 5 others like this. 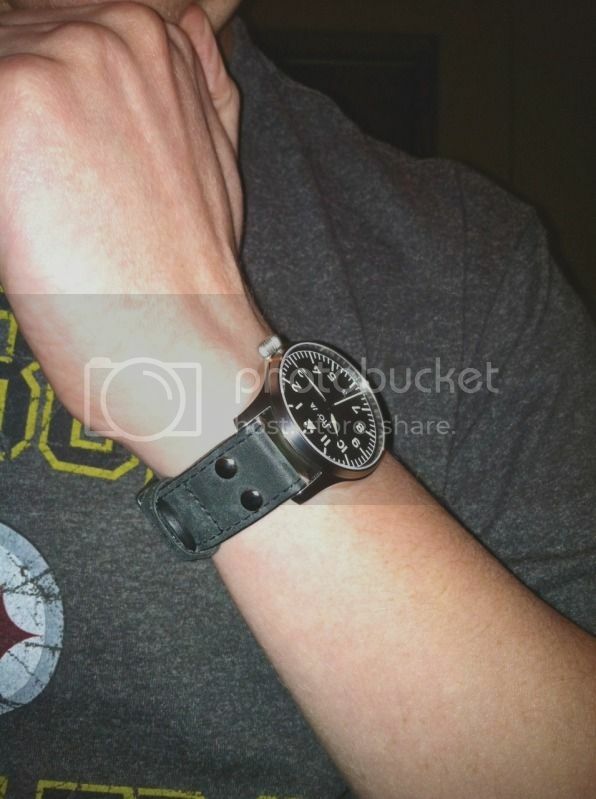 Last edited by Coler; April 14th, 2012 at 00:06.